PhotoShop, Illustrator and SketchBook Pro users have all the fun. 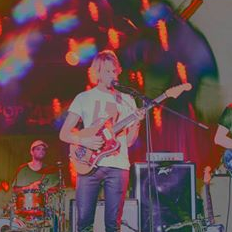 They make these cool, time-lapse videos, set to trendy, fast-paced music. 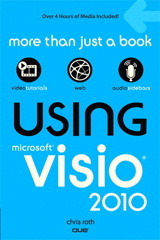 I know Visio isn’t as cool as those other apps, but a lot of people still love using it. And they like music too! So I whipped out my trusty Camtasia Studio/Recorder and gave it a shot. I even went so far as to search the internet for such a thing, but before I could make an illegal purchase, I was distracted by the image suggestions. 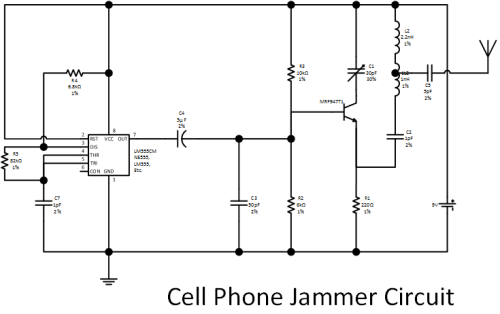 I noticed a lovely little circuit diagram for a simple cell phone jamming device. And thus, I channeled that negative energy into a Visio Guy project. 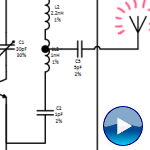 How about doing a piece on circuit diagramming with Visio? How about making a first attempt at one of those cool speed drawing videos while I’m at it? So Visio probably isn’t as cool as Adobe Illustrator or PhotoShop or Autodesk SketchBook Pro, but people like Visio, like videos, like learning and like music. I could provide most of that with this project. I don’t think this video is as instructive as a lot of the drawing and artsy videos. In those videos, it is easier to see what the users are doing without knowing which functions have been clicked. You see the very light sketch, then a darker sketch over the top, then outlining, then fills, then shading effects. You get a complete picture. But nonetheless, I think this format has potential for Visio or any software. With the speed-up, you see patterns of interaction. You discover areas where Visio could be improved, or your own personal workflow could be improved. I do think it is helpful to slow down the pace whenever crucial ribbon buttons or menu commands are clicked. I did this a few times, but not enough. I already had Camtasia Studio installed on my ThinkPad. A quick internet search revealed that to make a time-lapse video all you have to do is right-click on the video clips in your timeline and increase the speed to some percentage over 100. Easy as pie! Let’s wish Bod success in the coming months and years! The default template’s line weights for symbols and connectors do not match. Furthermore, if you choose a theme from the Design tab’s theme gallery, the components have a (usually) darker line color than the connectors. This is bush league and should be fixed. There is a lot of zooming in and zooming out required to create this drawing. I wonder if some sort of “live zoom” window that follows the selected shape around as you work would improve productivity. Any CAD veterans out there care to chime in? Repositioning small objects, or items that are small due to the zoom level is difficult, because you tend to grab selection handles and resize the shape. Perhaps some intelligence could be built in to Visio so that resize handles don’t show when a shape is displaying at “less than two mouse cursor widths” or something. Maybe a mouse pause would then show the resize handles so that no functionality is lost. 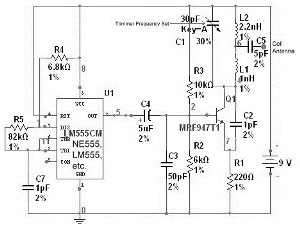 A best practice for Visio electronic diagrams and schematics needs to be developed. I tend to think that the components should be connected to each other, and dots used just as a necessary evil. In the video, I connected everything to dots, and I start to see the sense in it. Even if the dot shapes are virtual (some big circle that is easy to select and move, but doesn’t print, or can be easily hidden, since–I think–modern standards don’t use the dots any more…?) it kind of makes more sense.The lines are “areas of equal potential”, not predecessor-successor or superior-subordinate relationships. Org-chart and flowchart thinking is not appropriate in this discipline. Visio needs layout and auto-align options for connected diagrams that don’t necessarily have a hierarchy. 1. The Pan/Zoom window gives you an overview of the drawing that you can move your window around, or create a new selection window. 2. If you select an object and move to the extents of a zoomed window, the window will pan (although slowly). 3. Ctrl + Shift Right Mouse button drag will let you pan quickly. Lucidchart recently got into the time-lapse game with the release of presentation mode. It’s a much easier way to generate a diagram-based presentation that can pan and zoom as desired. Importantly, these presentation slides are included when the charts are embedded on the web, Confluence, or Jira. Don’t miss Lucidchart’s Songtacular Flowdown if you want to see how much fun an animated diagram can be. 1) Let there be an excel (or similar) sheet with the Bill of Materials Id’d. 3) A Visio – Macro to auto-generate the diagram. This would really save lot of the manual effort especially the zoom-tasks etc..